You can easily turn your dream smile into reality with Cosmetic Dentistry. Nowadays, improving your smile can be such a breeze. With more advanced equipment and more efficient techniques used in dentistry, your trusted cosmetic dentists at Simply Smiles Dental can proficiently give you the dazzling smile that you have always wanted. Then again, the gains that you can enjoy after undergoing cosmetic dental treatment are not limited to improving your physical appearance alone. They go way beyond just that. Below are just some of the additional benefits of Cosmetic Dentistry. elegant smile, you will be able to appreciate yourself much more. Because you are aware that you look good, you also feel good. You keep away negative thoughts and feelings. This can have a significant impact on your total mood and overall productivity as a person. Moreover, having a gorgeous smile allows you to smile more and more. This can have a positive effect on your health. Smiling releases stress, which is one of the major causes of sickness. You see, with each smile that you give away, you become a healthier individual. With an improved confidence in your pleasant smile, you can approach conversations and other social situations with less or no anxiety at all. You become more comfortable with people. Furthermore, Cosmetic Dentistry in Melbourne can actually change the way people see and treat you. In fact, studies have shown that people with great smiles are perceived as more approachable, more professional, and more trustworthy compared to those who don’t. Once you have achieved the smile that you have always desired, you will do everything so as to uphold and maintain it. Hence, you become more aware of the things that put your smile at risk. Not only that, you avoid the food, beverages, habits, and other stuff that can possibly harm your smile. As a result, you do yourself a huge favour in promoting your optimum dental and oral health. Cosmetic Dentistry can provide you with a multifaceted improvement in your life. It does not only address the concern with your physical appearance. Rather, it can initiate positive changes on other aspects as well. 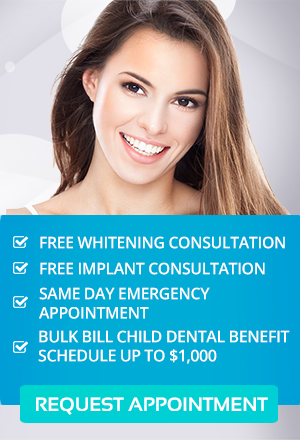 For the finest Cosmetic Dentistry in Melbourne, come and visit us at Simply Smiles Dental. Take a look at our gallery and see how we have given our patients their best smile ever. Contact our Toorak Dental Office Today!